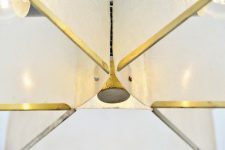 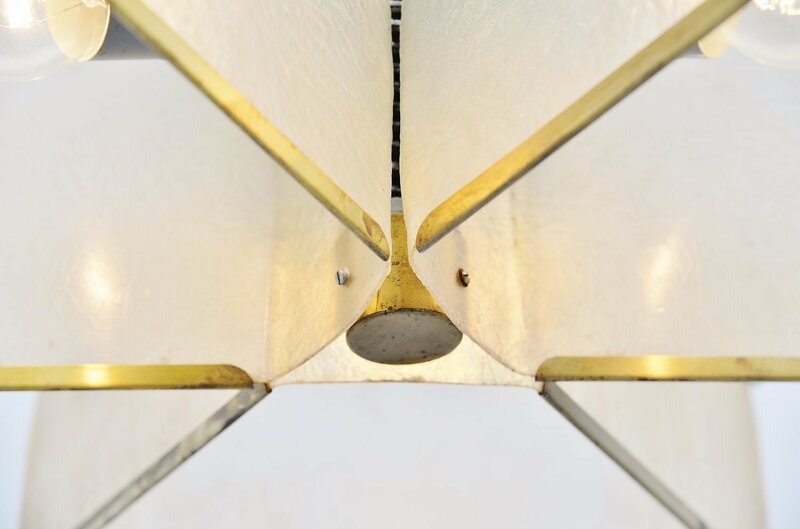 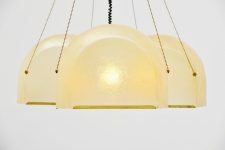 Very nice large fiberglass ceiling lamp designed by Salvatore Gregorietti for Lamperti, Italy 1965. 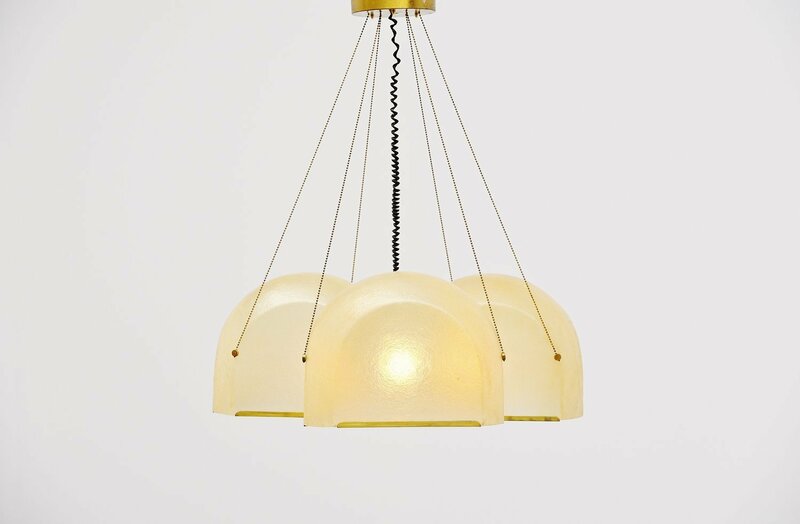 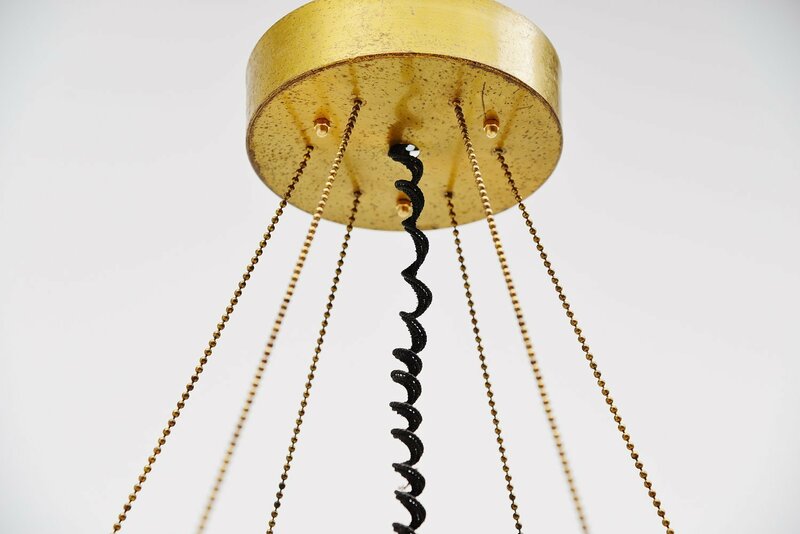 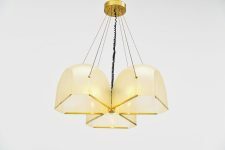 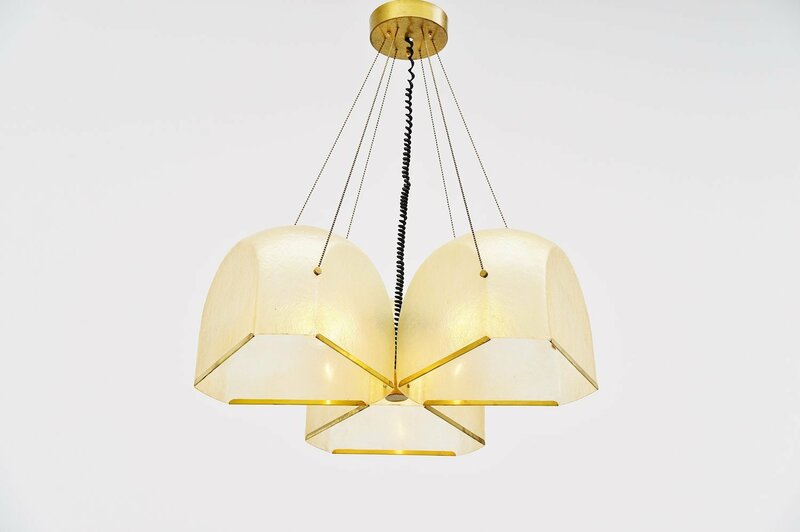 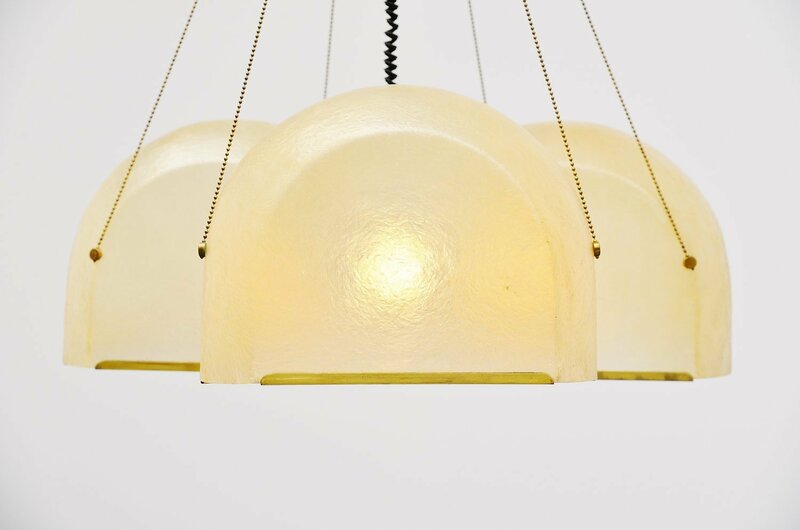 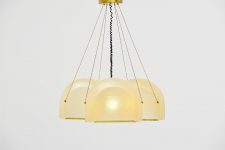 This rare hanging lamp has 3 semi transparent fiberglass shades with brass covered rims. 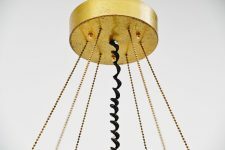 There is a brass chain that holds the shades and brass wall plate as well. 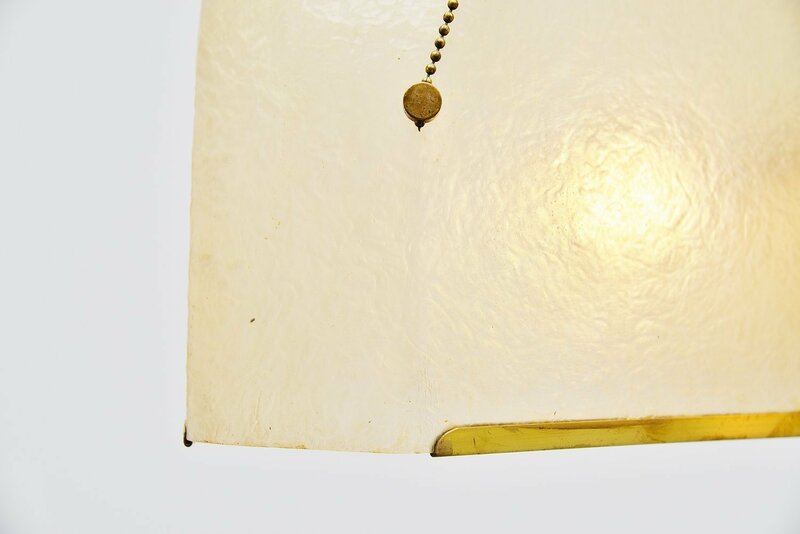 Very nice and decorative hanging lamp in excellent condition. 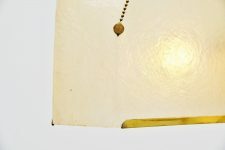 Minimal craquele in the shades from age.